Welcome to the UNCAS Health District your local health department. The Uncas Health District is an unaffiliated, unincorporated non-profit agency operating under Connecticut General Statutes. The agency’s mission is to promote and protect the public’s health in order to prevent illness, death and disability among its residents. The Board of Directors is comprised of 15 non-compensated members appointed by each of the member municipalities. The number of Board Members is based upon the municipality's population with one board member for every 10,000 population or part thereof. They represent the needs and interests of their member municipalities, serving staggered 3-year terms and can be reappointed. UHD now serves as the local health department for ten municipalities in Eastern Connecticut: Bozrah, Franklin, Griswold, Lebanon, Lisbon, Montville, Norwich, Salem, Sprague, and Voluntown, Connecticut. The services provided by the UHD include environmental health inspections, health education, public health preparedness planning, and public health nursing. This website has valuable information on topics ranging from Public Health Alerts, Business Forms & Licensing, to Health Resources. We continue to add new information. Your feedback is helpful to us as we continue to provide appropriate resources and services. We hope you find our site helpful. If you have any comments or questions, please contact us. Uncas Health District shared a post. DPH Preparing for Possible Labor Strikes at 20 Connecticut Nursing Homes. “We at the DPH are hoping that both labor and management at these nursing homes can come to agreement so a strike can be avoided, but if a strike occurs, we will be ready to do our duty in accordance with state and federal law,” said DPH Commissioner Renée D. Coleman-Mitchell. Hartford, CT – The Connecticut Department of Public Health today is confirming a third case of measles in Connecticut for 2019 in an adult from New Haven County. Information received by the Connecticut Department of Public Health indicates that the case contracted measles after being exposed during the last week of March while on a visit to Brooklyn, NY and is linked to an ongoing outbreak of measles in New York City. The latest case of measles is not related to two previously confirmed cases in Connecticut reported in January. The latest case of measles in Connecticut had rash onset on April 11, 2019. The infectious period for this individual is between April 7-12, 2019 and the case was isolated as of today. The average incubation period of measles (from contact with a case until onset of rash) is 14 days, with a range of 7–21 days. Cases are considered infectious from four days before rash onset through four days after. The Connecticut Department of Public Health (DPH) is working with local health departments and healthcare providers to identify and inform identified contacts of the case. It is possible that secondary cases of measles among some of these contacts may occur, especially among those who have never been vaccinated for measles. age. One dose of measles vaccine is about 93% effective at preventing measles if exposed to the virus. Two doses are about 97% effective. Measles vaccine does not cause measles illness. Adults should have at least one dose of MMR vaccine. Certain groups need two doses of MMR, including: college students, health care workers, international travelers, and persons at high risk for measles complications. Adults born in the U.S. before 1957 are considered immune to measles from past exposures, but in situations where exposure to measles is likely, these adults may benefit from an additional dose of MMR vaccine. 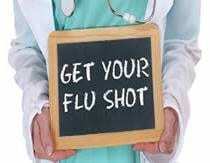 Individuals who are unsure of their vaccination status are encouraged to check with their physician. A typical case of measles begins with mild to moderate fever, cough, runny nose, red eyes (conjunctivitis), and sore throat. Three to five days after the start of these symptoms, a red or reddish-brown rash appears, usually starting on a person’s face at the hairline and spreading downward to the entire body. At the time the rash appears, a person’s fever may spike to more than 104 degrees Fahrenheit. The rash typically lasts at least a few days and then disappears in the same order. People with measles may be contagious up to 4 days before the rash appears and for four days after the day the rash appears. From January 1 to April 4, 2019, 465 individual cases of measles have been confirmed in 19 states. This is the second-greatest number of cases reported in the U.S. since measles was eliminated in 2000. The states that have so far reported cases to CDC in 2019 are: Arizona, California, Colorado, Connecticut, Florida, Georgia, Illinois, Indiana, Kentucky, Massachusetts, Michigan, Missouri, Nevada, New Hampshire, New Jersey, New York, Oregon, Texas, and Washington. In 2018, three cases of measles were reported in Connecticut. For more information about measles, please visit www.cdc.gov/measles.